Guardian Safety Barrier, Water-Filled K-Rail, Orange, 46" x 24" x 72"
Easy to transport, store and set up. Water Balasted Plastic Krail minimize damage to vehicles and are highly visible. Fade resistant and have an insert area for lights. 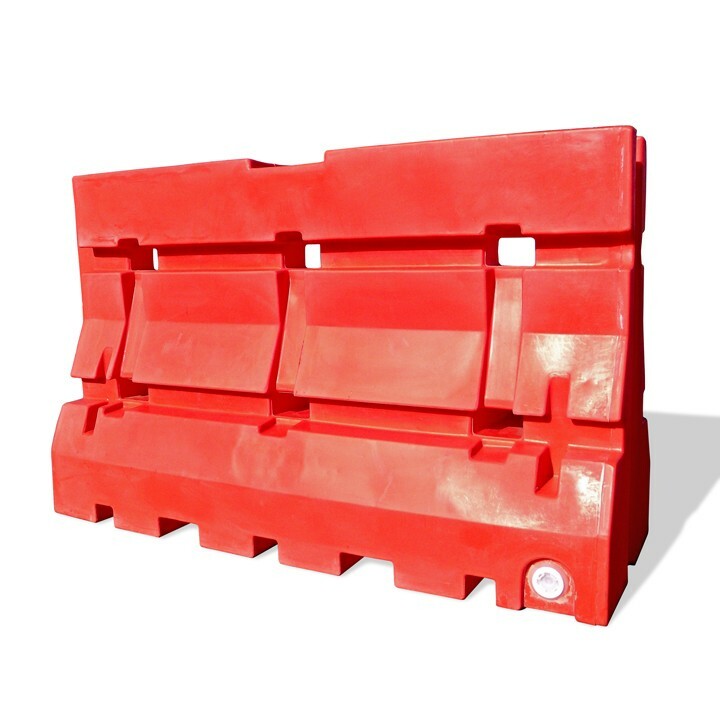 Designed to be space saving and have molded forklift holes for easy transport. weighing only 180 lbs when empty, they can be easily deployed by two people. At 1728 lbs when filled, they are extremely stable. 72" long x 46" high x 24" wide.